Wink makes app-enabled smart home products and is a subsidiary of Quirky. 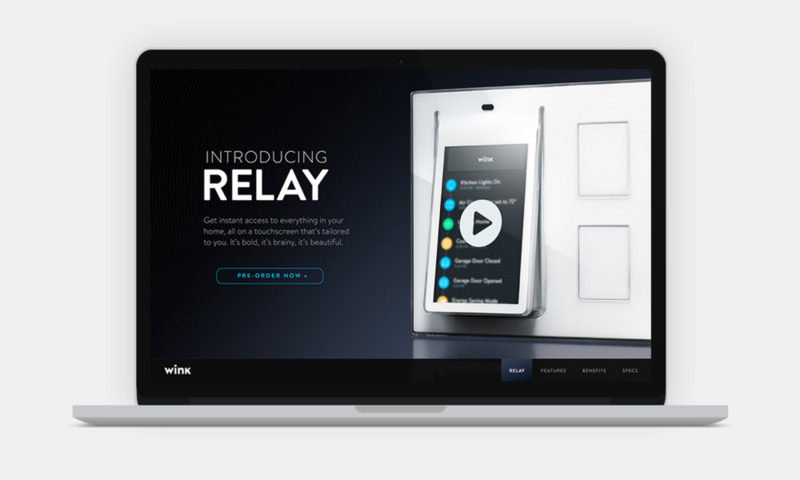 While I was freelancing for the Quirky Visual Design team, I worked on the web and mobile version of the Relay microsite for Wink's first product launch. The team was led by a Creative Director and I worked closely with photography team and developers.